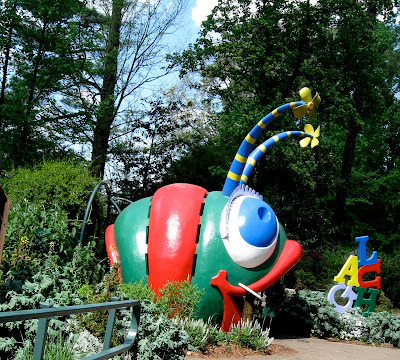 The afternoon of Palm Sunday, husband Walter, AKA Baboo, volunteered to keep the Fab Four at home so their parents and I could visit the Atlanta Botanical Garden. The medical equipment that our neighbors in Ocean Springs had loaned us after my stroke included a transporter, a lightweight type of wheelchair. It is not designed for the occupant, me in this case, to propel it. It’s designed for someone else to push it around; and with son Walt as muscle power, the transporter made it possible for me to comfortably enjoy the hills and valleys of the trails in the gardens. Daughter-in-law Sarah makes a new friend. 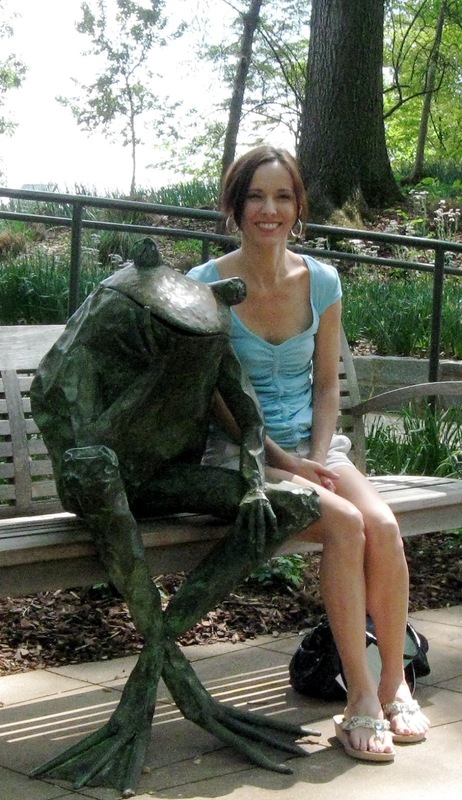 A walkway suspended through the treetops and a flirtatious frog welcomed us into the gardens. The website of the structural engineers on the suspension walkway project said the structure is suspended up to 40 feet above the ground within the canopy of hundred-year-old trees. The suspension system uses cable stays connected to four 65-foot-tall masts. A series of circular curves about 600 feet long and 11 feet wide includes five overlooks that widen the bridge and provide stopping points where we could see the tree canopy. Unseasonably warm weather had evidently left beds of tulips, daffodils and other spring flowers bedraggled. That was a disappointment to Sarah and me. In my previous off-season visits to other large gardens there were numerous areas cleared and awaiting new plants, often edged by attractive borders. For me a clean, empty bed ready for the next occupants and revealing the bones of the landscape is happier looking than sad, decaying blossoms. The kids garden was one of our favorite sections. 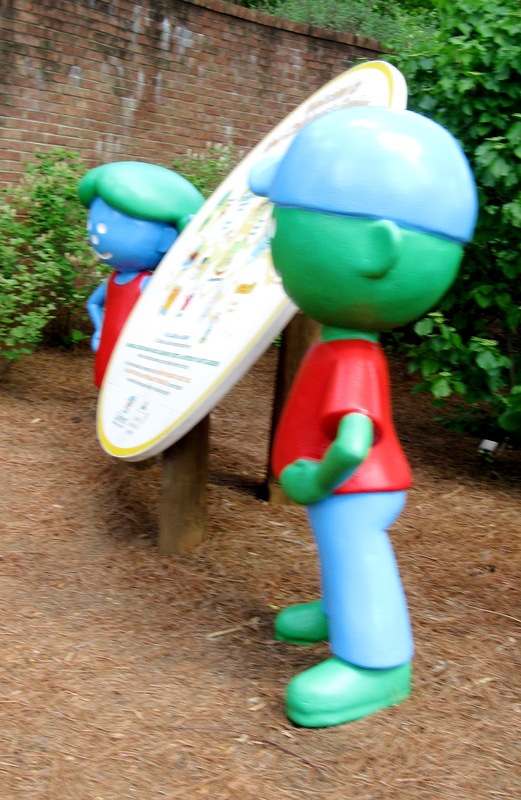 I loved the colorful characters as well as the foliage and blossoms. 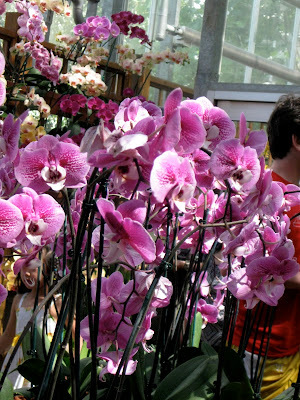 The Orchid Center and conservatory of tropical and desert plants were interesting endings to our visit. We only had that one day, but if I lived near, I would check the website here to see what was in bloom before making the trip and paying the entrance fee. I would also spend more time in some areas we missed. But the weather was really warm and our stay was just the right amount of time for me to enjoy without becoming totally and miserably exhausted. Thank you, Walt, Sarah, and Baboo. I LOVE gong through the botanical gardens and have a lot planned for this year. I was at one a few days ago but did not take the tram tour and am going back to do that. We have the transport chair and keep in it the trunk of the car. A wheelchair would just be too heavy for Phil to lift. I was watching a T.V. show the other day, I think it was "The Doctors", and they were talking all about the Botox for the spasticity. They said it worked like a miracle, I thought of you. How nice of your son to push your wheelchair so you could enjoy the sights. Too bad about the limp flowers. 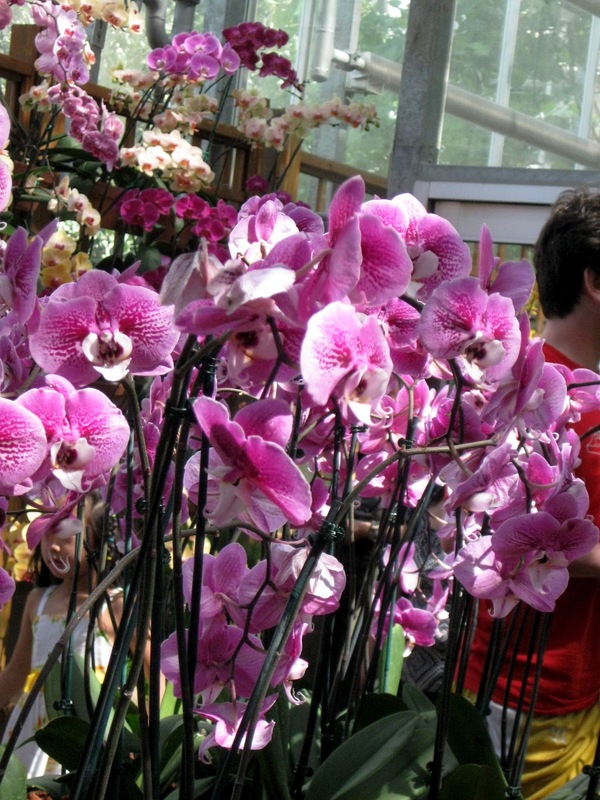 But you did see the orchids, which did not look limp. All in all, a pleasant time for you! 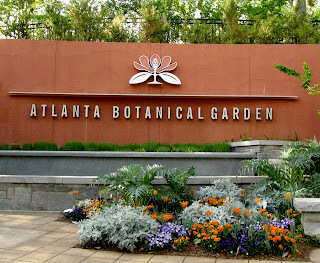 I live right across the street from the Atlanta Botanical Gardens. You could have at least waved to me. I hadn't thought about weather and botantical gardens. Some how I always thought they were immune. Good idea about checking ahead. 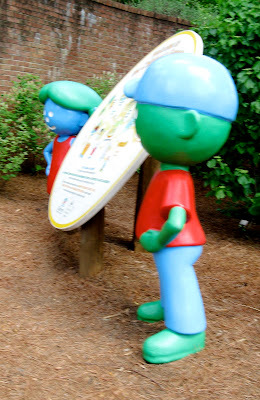 I will do that now when I visit Garven gardens. Thanks. Still you had a very lovely day and the orchids are just beautiful. Botanical Gardens are my favorites. They are the gems of the cities. I have traveled all over, just to visit gardens. 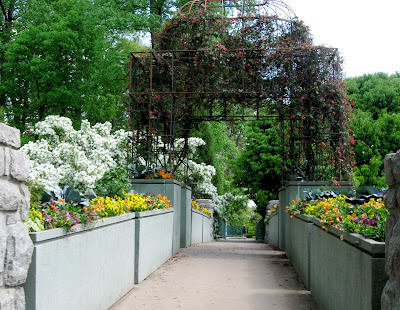 My favorite is the Denver Botanical Garden, and I recommend it. 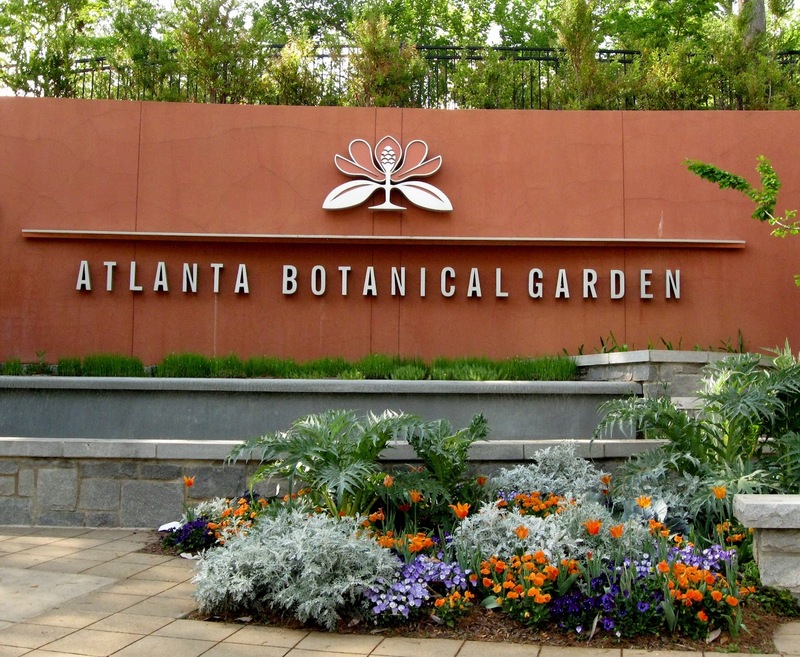 Although I have traveled to Atlanta many times and have cousins living in the suburbs north and south of Atlanta, I have not seen the Botanical Garden in Atlanta. I would go earlier in the year if I did. Too bad about the heat, but you got some lovely photos. The real frog is my favorite. lucky you..looks like a great day. 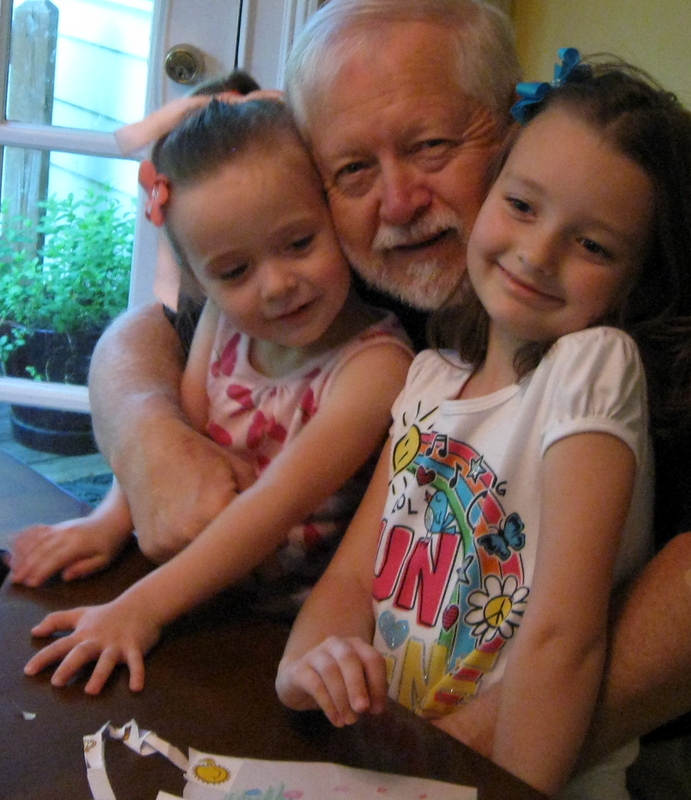 and a great babysitter! I'm so happy to hear you got out to get some sunshine and fresh air, but I would be like you and disappointed in seeing the spent flowers. 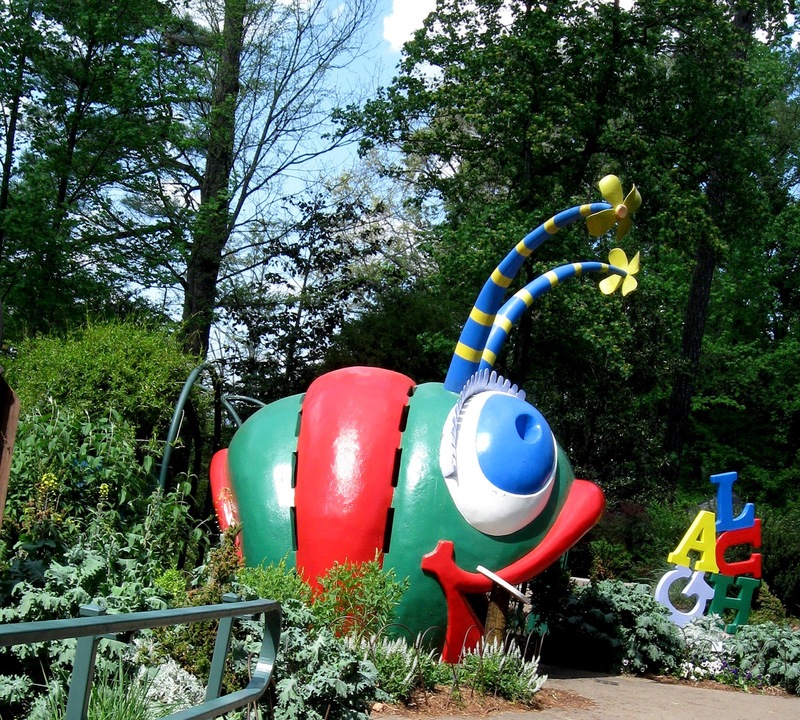 I guess we should all check the web site before we visit a botanical garden to see what is blooming and if the flowers a past peak. Good tip.